Investing in the next generation and their future is of infinite value. Coldshield is committed to do business with suppliers and clients who share the same values. To build long term relationships with our employees and clients by listening, discussing and sharing of information with absolute honesty and integrity at all times. 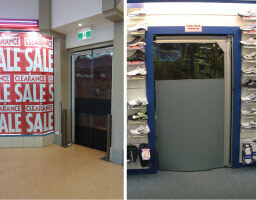 Have our clients know us as a trustworthy innovative leading edge supplier of specialty commercial door products. To grow our business by exceeding performance and time targets. Rewarding our staff and families. Build trust into all our relationships with employees, suppliers and contractors. Exceed environmental legislation targets and lead in industry standards.